"There's one particular man I want to tell you about, who stood firmly for them all, called Fidel Castro." Edward R. Murrow. Walter Cronkite. John Chancellor. Errol Flynn? One of these things is not like the other, but only Flynn, the dashing leading man whose best days on screen and off were behind him by the late 1950s, found himself in Havana during the revolution. (Apparently he favored the easy access to the casinos, and kept a home there.) He decided to play amateur journalist, and turned in this truly bizarre documentary of Fidel Castro and his comrades overthrowing the Batista government and taking over in Cuba. The result now comes to DVD as Cuban Story, though the film itself bears a different title: The Truth About Fidel Castro Revolution, which is at once ungrammatical and charming in its presumption about divining fact from fiction. There's a found-object fascination to this film, on two levels: the first is the extraordinary access that Flynn had, and the images that were captured of the Cuban revolution; many of them have long been unavailable, anywhere. (The film was shown in Moscow shortly after it was produced, and then sat on a shelf for decades, until this DVD was prepared.) The other is watching Flynn, who retains much of his famous charm, but is much the worse for wear from drink; so much so, in fact, that I'd wager he was three sheets to the wind during the clumsy footage of him that frames the story. He's at a desk, then up from the desk, then decides to grab a nearby globe as a prop; he quickly becomes bored with the globe and tosses it out of frame, and we can hear the globe bouncing on the floor just to the side of a camera, a child's discarded plaything. It's hard to tell sometimes if he's being falsely modest, or is deeply naïve, or is just flat-out drunk. He set out to find Castro, in a sort of daiquiri-fueled parodic version of Heart of Darkness—Flynn, his camera and no doubt his bartender off in search of the leader of la revolución. And he tells us that the Cubans were so inviting: "I think what helped was the fact that quite a few people know me. They may know that off the screen, I'm a simple, peace-loving, home-loving, law-abiding man with the heart of a child." This movie star fatuousness fuels his journey, but he's not really in much of a rush to find Castro. There's plenty of time to stop off in Havana's night spots, especially one owned by George Raft. The owner isn't on hand, sadly: "I'm sorry he wasn't in the picture here, but he was away in Hollywood doing something with Marilyn Monroe." After tramping through the hills with the revolutionaries, Errol does finally find Fidel, but anticlimactically, there's only a poor snapshot of the two of them together, no film footage. No matter, as Flynn is absolutely smitten: "It doesn't take more than half a minute for anyone to realize that this was a man. A real man." If you're looking for any hard information about the Cuban revolution, you probably don't want to be peering at the events through Flynn's beer goggles, and the narrative is, unsurprisingly, largely incomprehensible. But just the fact that he was on hand with a movie camera allowed him to capture some remarkable images. He's giddy with delight about the revolution ("New and beautiful horizons for the country are now laid open"), and there's something almost touching in his innocence when he vouches for the fairness of the trials of Batista's henchmen: "Every precaution was taken to eliminate miscarriage of justice. I can testify to that, as I was present myself." The most disturbing sequence follows one defendant in particular, from his trial to his execution—we see him take the bullets from the firing squad and fall into his own grave, sort of a revolutionary snuff film. History hasn't been kind to Flynn's assessment of the Cuban revolution, and you can see the cult of personality around Castro already taking hold, on Flynn himself. Cuban Story ends with Flynn goofy as a teenager who just received a mash note: Fidel has written! Flynn reads the letter to us, in what, with the perspective of history, seems like a deeply ironic coda, as Castro writes to the audience: "I invite you all to come to this beautiful island of Cuba, a beautiful land, where freedom and democracy and all the things men live by are a reality." Flynn adds, sweetly but loopily: "And I believe that." Image Transfer Review: Forewarned is forearmed, as the back of the DVD case reads: "Due to the nature of this production and the condition of the mastering elements, the picture and sound quality of this DVD will at times be below contemporary standards." Indeed. Lots of the picture is scratched up terribly, but none of it is too awfully bad, and the restoration team deserves credit for spiffing it up as best they could. Audio Transfer Review: Sometimes it sounds as if an inebriated Flynn must have been supervising the sound mix personally. Hilariously on occasion, Flynn's voice-over is drowned out by noise from the footage he's narrating�guns firing, say, or an airplane landing. Otherwise, the mix is serviceable, though quite a bit of buzz creeps in. Extras Review: The featurette (03m:08s) is a video introduction by Kyra Pahlen, daughter of Victor Pahlen, the producer and writer of the documentary; she relates that the Cuban government is jealous of some of the footage here, as it's better than some of what they have themselves. The accompanying essay is helpful in filling in some of the historical blanks: Flynn was starring in a movie shooting in Cuba, and hoped to curry favor with the new government with this bit of propaganda. He also ditched his fifteen-year-old girlfriend in Havana when the going got tough. This is one of the strangest sights you're likely to see, Errol Flynn as newsman, on a drunken quest for Fidel; it makes Leonardo Di Caprio, in his interview with President Clinton, look like an experienced television reporter on par with Mike Wallace. 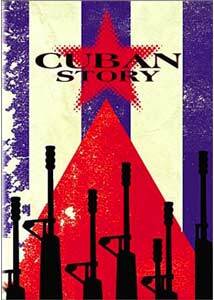 It certainly isn't well made, but it has a deep if unintended fascination�its glimpses of the Cuban revolutions are ones you're unlikely to have seen elsewhere, and the portrait of Flynn in the middle of his steep and rapid decline is an indelible one. Not for everyone, but it really is as good as it sounds.